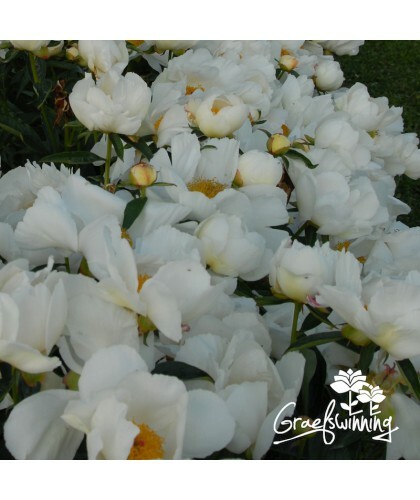 Paeonia lactiflora "Allen Rogers". 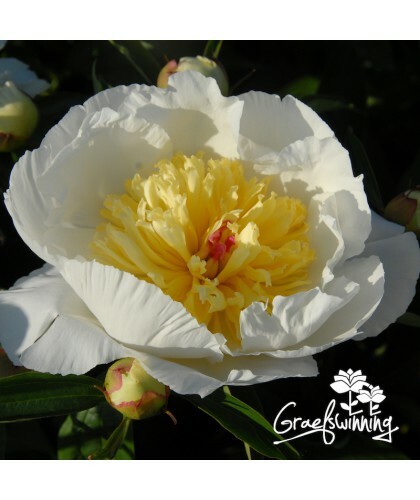 A compact and very floriferous peony. Flowers are double. Stamens and carpels show. 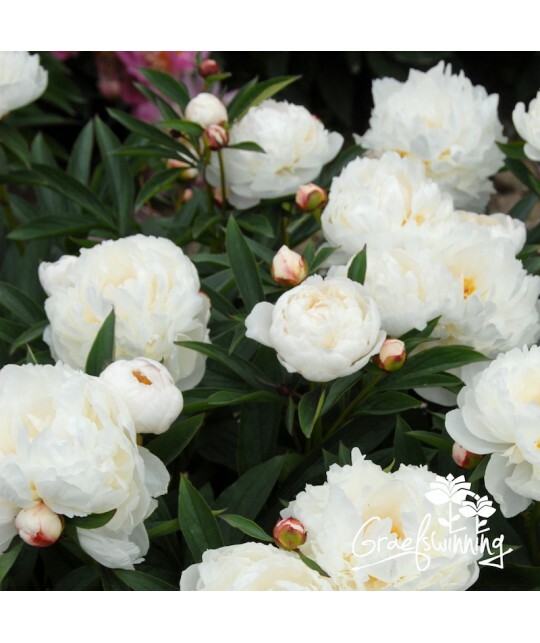 Multiple side buds turn the plant into a fluffy white dome. Flowers are held just above healthy dark green foliage. Stems are strong and no support is required. 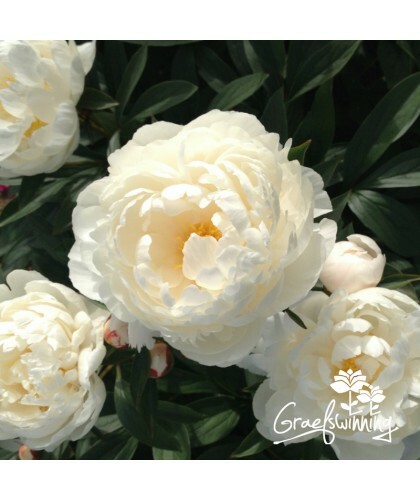 This softly scented peony was named after Allen Rogers author of the book Peonies and peony nurseryman. Registered by Piet Wiestra in 2008. 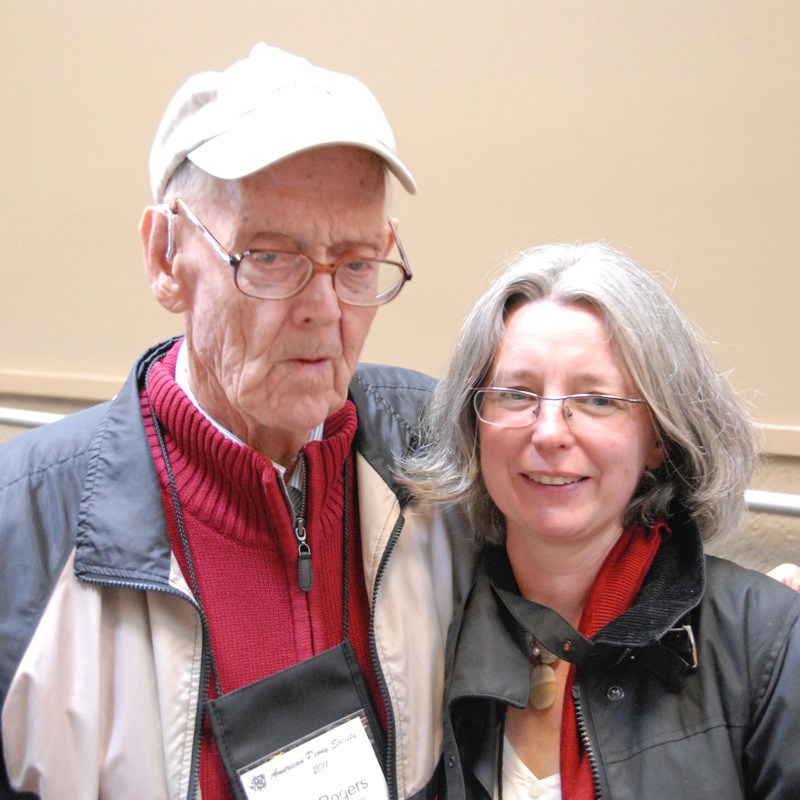 Photo taken with this lovely gentlemen at the American Peony Convention 2011 in Portland USA. 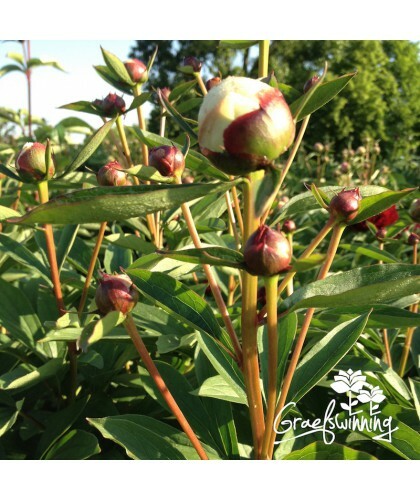 More peonies by Seidl William J.